Current snowpack conditions throughout our ranges have cold loose dry snow sitting atop a "rock solid" rain crust from November 28-29. As we progress thorugh our next storm cycles, above freezing temperatures at higher elevations are forecasted. We may even see some light rain on snow events. Warmer temperatures and rain would change our loose dry surface conditions dramatically. We expect to see wind/storm slab formation if the forecasted weather is realized. Travel on steep unanchored east/northeast aspects during and after the Friday-Saturday wind events is not recommended. Today I visited the northeast aspect of Allen Peak 6740' in the southern portion of the East Cabinet range. There I found 6" of fresh snow atop a 6" soft slab. These two layers rode atop the November 28-29 rock solid rain crust (see image #1). This soft slab released after 5 elbow strikes with a Quality 3 shear but propagated (see image #2). 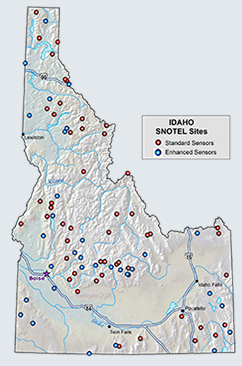 The bottom 12" of the snowpack consists of several rain crusts or melt freeze layers that fail only when considerable force is applied. Mountian weather since Monday has been mostly dry (SWE increases 0.1"-0.4"), cold with all stations below freezing, and very little transport winds. Weather today is again dry with very light snow, below freezing temperatures, and no transport winds. Mountain fog preventd me from providing any landscape images for this advisory. Forecasted weather through Saturday is mostly cloudy, with a gradual creep in temperatures to above freezing, 70-80% chance of snow with 4"-7" accumulations. Friday afternoon through Saturday will see SW/W transport winds possibly moving a lot of snow. 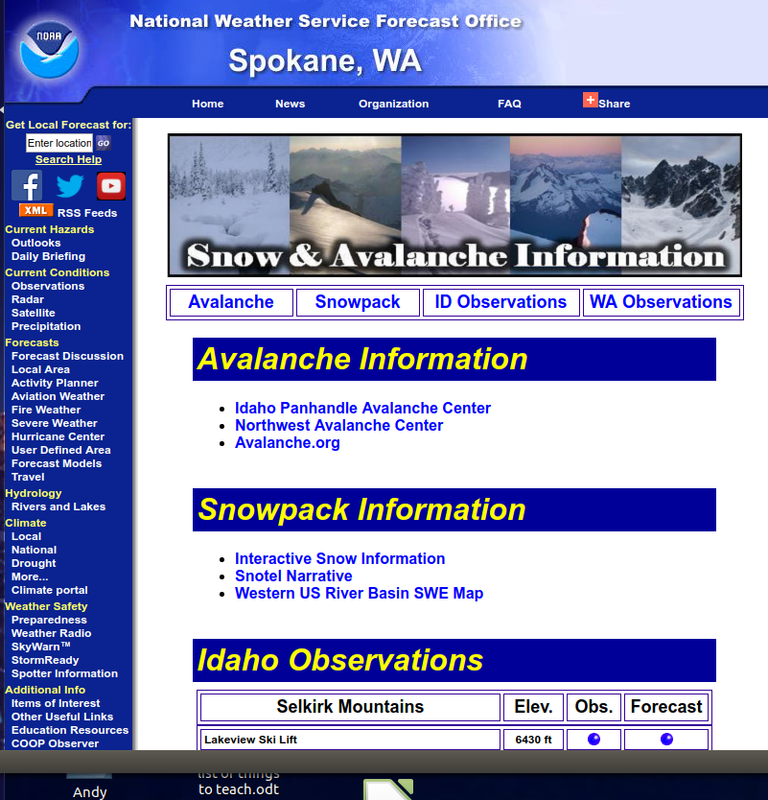 The trend for avalanche hazard is to possibly increased based on the above weather forecast.